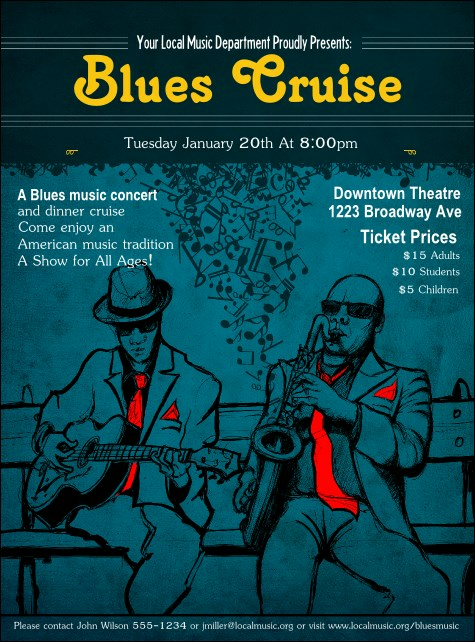 Share your love of music that comes from deep in the soul and promote your event with the Blues Cruise Flyer. Two musicians sit on a bench on this design, with musical notes coming out of the saxophone. all on a dark indigo background. Enter your details in the template and we'll ship them your way.